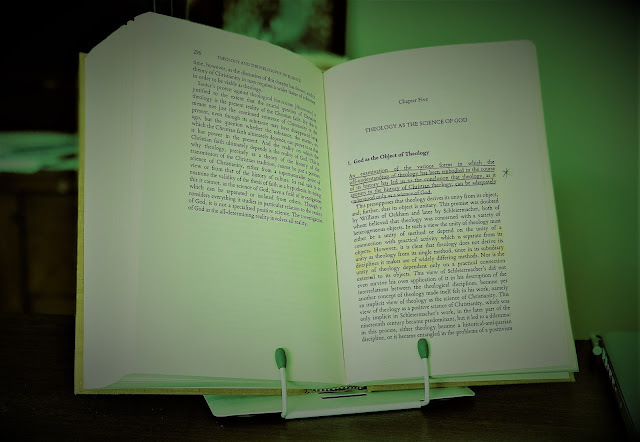 Arguably, the outbreak of the Great War in the summer of 1914 constituted the real beginning of the 20th century, especially in Western European society and culture, as William Klempa notes in introducing this volume of early Karl Barth sermons. This was especially the case in Protestant ecclesiastical and theological circles in Germany, where the war sparked a revolt among young pastors and thinkers. In one camp, Klempa notes, establishment theologians -- including Barth's Marburg mentor Wilhelm Herrmann -- by and large acquiesced to and even offered up religious legitimization to the rising tide of nationalist and militarist sentiment. Thus, Adolf von Harnack, a key confidant for the Kaiser, served as an enthusiastic apologist for the war. For a number of younger theologians, on the other hand, the devastation that ensued as the war progressed was an acid that dissolved naive idealisms. For example, Paul Tillich, who suffered psychiatric trauma from his experience as a chaplain burying soldiers killed in the Verdun trenches, was driven to eschew liberal idealism and to craft a new theology highlighting existential alienation as the abyss of human experience. A Unique Time of God: Karl Barth’s WWI Sermons, Trans. & Ed. By William Klempa (Louisville, KY: Westminster John Knox, 2016). In many later writings, Barth would credit disillusionment with the war as the prime catalyst for the emergence of early dialectical theology, crystallized especially in the second edition of his Romans commentary. This historical backdrop, fraught and fascinating, imbues with special poignancy and interest this collection of 13 sermons Barth delivered in his Safenwil parish (and its environs) from the the time that Austria-Hungary declared war upon Serbia in late July 1914 to early November that year, as the war had grown to engulf Germany, France, Great Britain, Russia, and the Ottoman Empire. These homilies, translated from the German originals in the Predigten 1914 volume of the Karl Barth Gesamtausgabe, are available here for the first time in English. As Anglophone students of Barth are well aware, translations of Barth's earliest material remain sparse: A 1911 speech on socialism, for example, and a sermon on the sinking of the Titanic, as far as I know, are pretty much the extent of it, until the story picks up with the Barth-Thurneyson correspondence (excerpted in Revolutionary Theology in the Making), the short 1915 essay on Christophe Blumhardt, and the opening essays in The Word of God and Theology. Thus, this volume promises to enrich private study, seminary classrooms, and (dare I hope for it?) the theo-blogosphere. in these war sermons (xii). To be sure, such a sweeping assessment can't go untested. As experts in Barth's early work have shown, the relationship between incipient and more fully-ripened iterations of these doctrinal loci is exquisitely, perhaps even maddeningly complex. How earlier and later strands are interwoven is far from self evident. 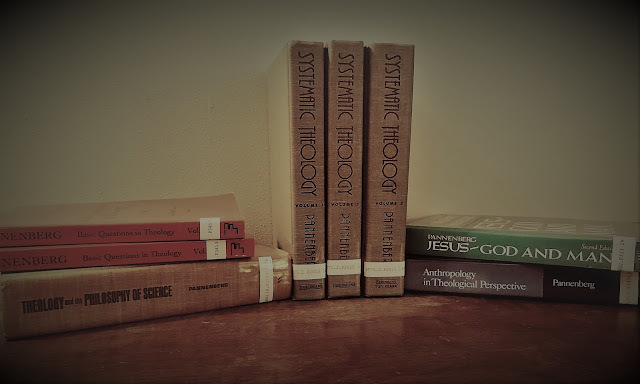 That's all the more reason, though, to tackle a volume such as this with gusto; the theological import of these texts, I suggest, will only emerge from a close reading of them in view of their original context in Barth's pastorate. And here's the punchline, an enticing tid-bit for seekers of the Barthian holy grail: What made Barth Barth? What soured him to the fleshpots of post-Ritschlian liberalism such that he blossomed into the mature (neoorthodox, postliberal, dialectical, neoscholoastic, crypto-Catholic, crypto-big-O-Orthodox, deconstructionist, or whatever kind of) theologian he eventually became? In posts to follow, Henry Coates and I plan to explore this volume in some depth. The good folks at WJK have sent us free review copies with no expectation of positive reviews. Stay tuned, gentle readers: Barth was a first-rate, and often quite provocative homiliest, so I don't think we'll be disappointed.